At Archadeck of Columbus, a picture is worth 1,000 words. 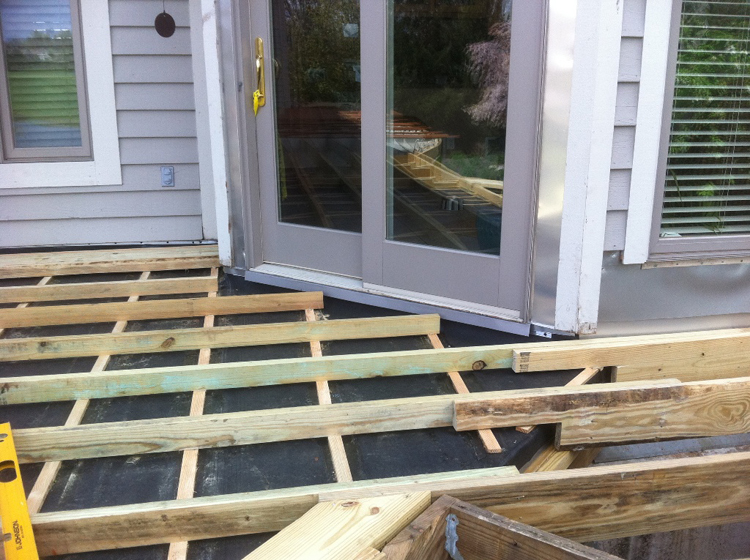 Archadeck of Columbus finds severe damage in this home in Dublin, OH left from poor workmanship of the previous builder, but takes it all in stride, and sets out to make it all right. 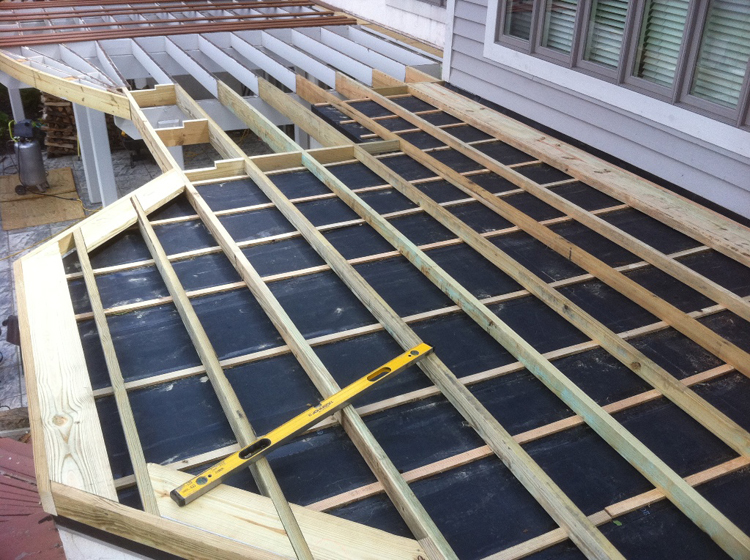 The end result being a quality, and structurally sound deck these homeowners can be proud of. 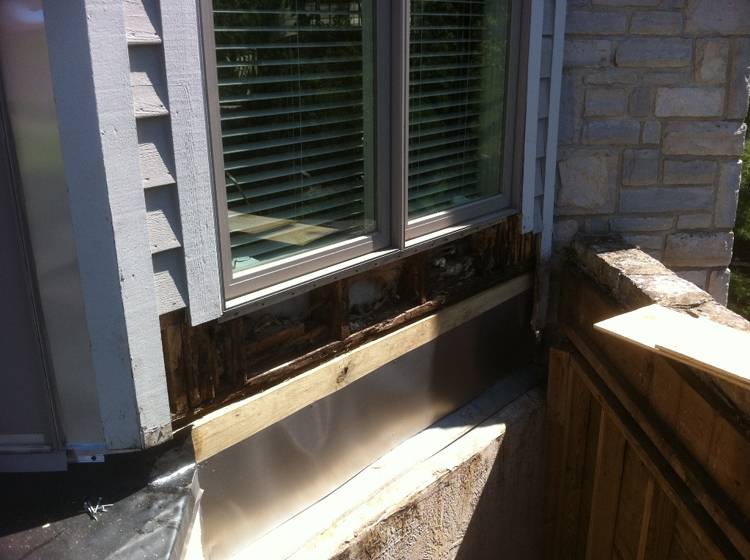 The first obstacle we encountered was a portion of the deck which lies above the basement in this home that showed evidence of rotting around the windows and doors which indicates water was getting into the home’s basement. Proof positive that improper building techniques led to the decay. 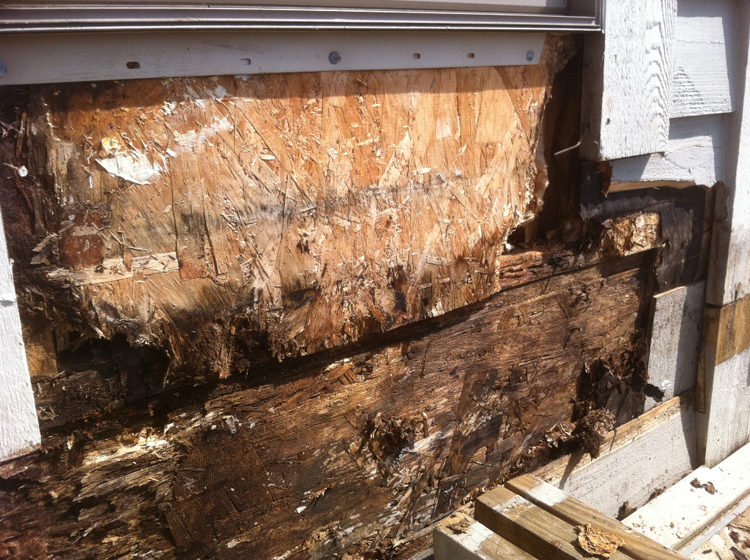 When we removed the old deck in preparation of installing the new deck, there was also a tremendous amount of rot. 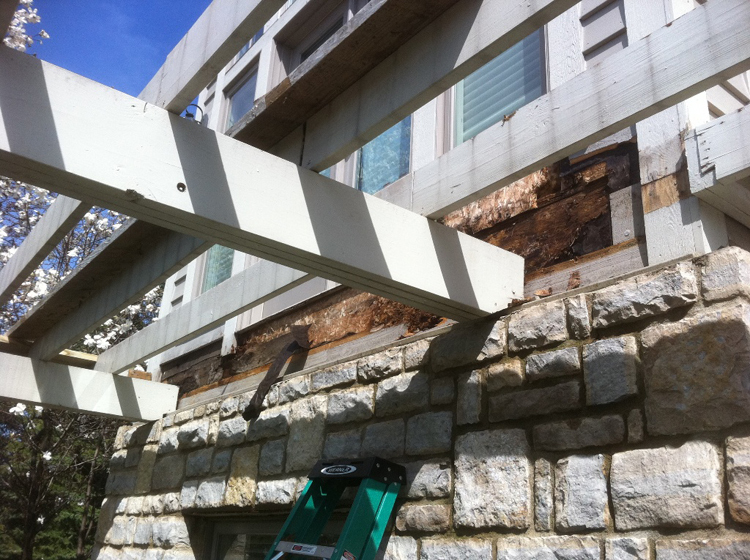 The house itself was not outfitted with the proper preventative of Tyvek when it was built, the lack of this crucial material promoted rot and decay throughout the structure. Tyvek is a barrier which is used in home construction to increase air and water resistance and provide protection from water and moisture. Improper building techniques led to rot and decay. 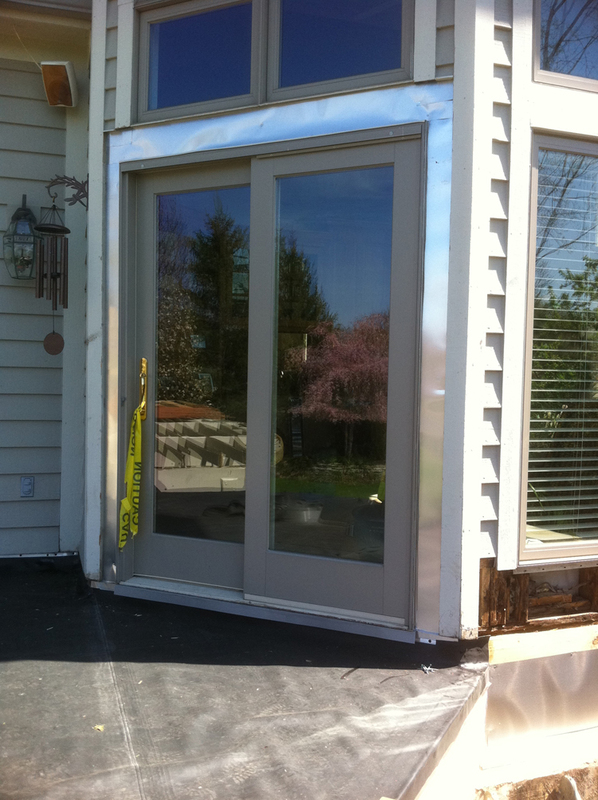 Archadeck of Columbus was able to fix the areas surrounding the location of the deck, as well as installing Tyvek around the doors and new aluminum flashing around the doors. When we pulled up the old deck the beams were run perpendicular to the house, which is not customary when building a deck. Archadeck of Columbus rebuilt the sub-structure of the deck to our standards. You have to have a correct and firm foundation for any structure you build. The stone area near the stairs was vas poorly constructed at best and falling down. The lights did not work as well. When we come into contact and witness the shoddy construction that some builders try to get away with, it is unfortunate and saddening. This is the main reason it is so important to hire an experienced, qualified and licensed builder. Author archadeckofcolumbusPosted on August 3, 2011 December 14, 2011 Categories Composite Deck Builders Columbus OH, Composite decks, Deck Builders Columbus Oh, Deck Builders Columbus Ohio, Deck Construction Columbus Oh, Deck Construction Columbus Ohio, Decks, Decks Columbus Oh, Decks Columbus Ohio, Low Maintenance, Quality construction standards, Timbertech, TimberTech Evolutions deckingTags Angies List, Angies List Super Service award winner, Archadeck of Columbus, Better Busness Bureau, Columbus decks, composite decking, Composite decks, Custom deck builder Dublin OH, Customer service, Deck builders Dublin OH, decks Columbus, Feeney Cable railings, Re-decking, Redecking in Dublin OH, Timbertech, TimberTech deck in Dublin OH, timbertech decking, timbertech decks, TimberTech Earthwood Evolutions, TimberTech Evolutions, TyvekLeave a comment on At Archadeck of Columbus, a picture is worth 1,000 words.